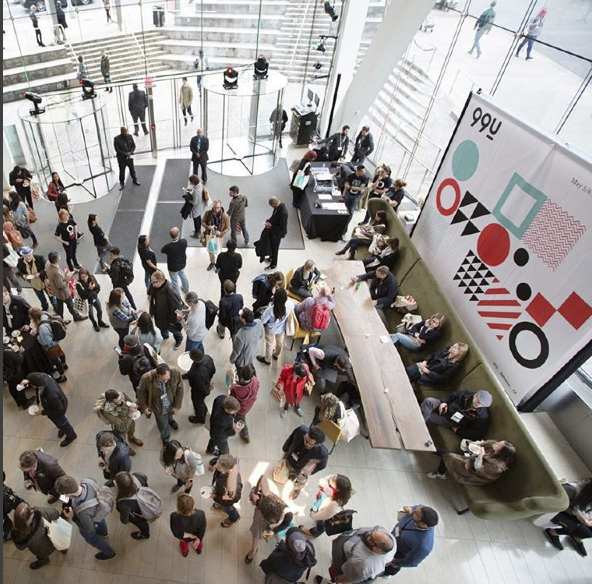 On May 5th and 6th the tall glass walls of Alice Tully Hall in Lincoln Center housed over a thousand creatives. Within an hour of the doors opening, the hall buzzed as people shared tables and conversed with each other over coffee. The best speeches were in the theater and the best conversations took place in the main hall. There were opportunities to mingle with product designers from big companies such as AirBNB, Uber, and Jet. 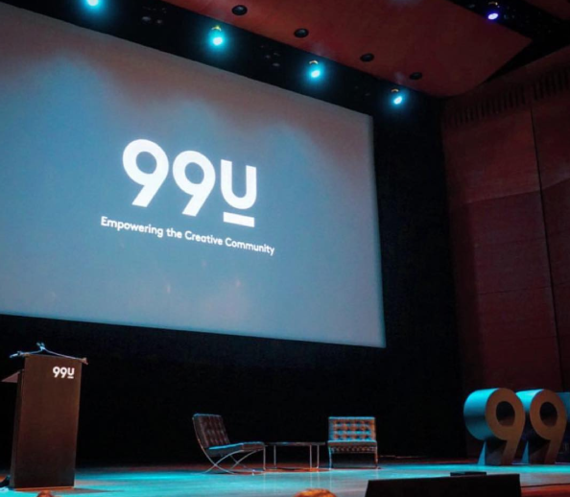 Owners and employees from agencies, studios, funded companies, startups, and more were also in attendance ready to learn and experience the 99U Conference. 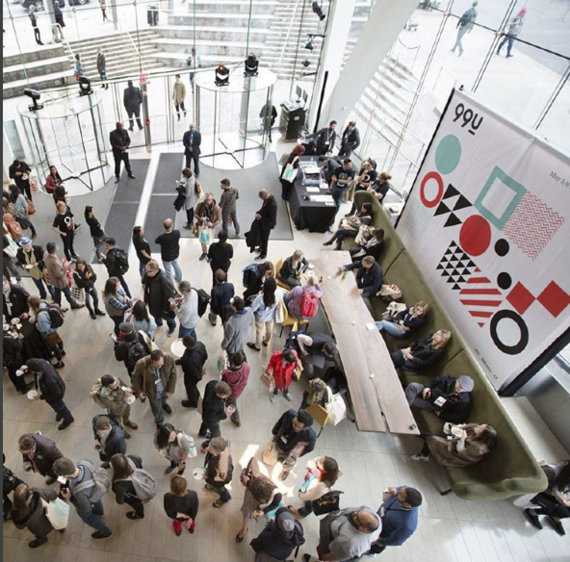 What is the 99U Conference? As I continue to pursue my personal interest and fascination with design, I peel back the onion. Reading books on design and meeting great people has been a highlight so far but being in the thick of it finally happened at 99U. One of the most valuable, if not the most important asset of a business is community. If you have this, it can be a guiding light and force towards success. First, let's start from the beginning, everyone knows Photoshop. The company that produces and distributes Photoshop is Adobe. Adobe is the parent company of Behance and 99U. Adobe has a catalog of products for designers, students, marketers, and creatives of all levels of experience. Behance is the digital hub for the creative community. There, designers in all industries, backgrounds, and disciplines upload their work and share. There is a true understanding, respect, and support system on this platform. Designers look for critiques, encourage each other, provide support, and find work opportunities. This is a great point for inspiration, community building, and motivation on Behance. Finally, 99U is the point where the entire community is able to meet in person. 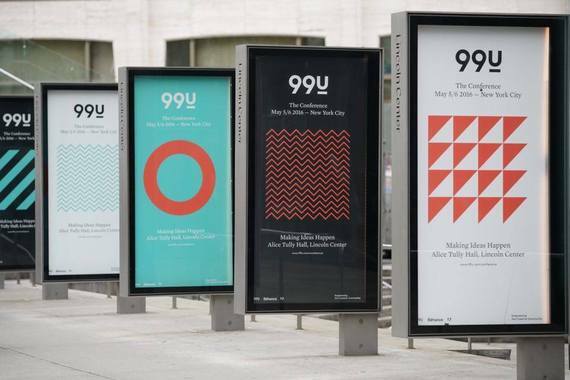 99U diversifies its offerings through online and offline channels. The online is a support platform through their website. They recently rebranded the entire site and did an in depth review of how they got there for readers and community members. This was helpful to understand why they made the decisions that they did and how it ties into their growing mission. The explanation of process is also beneficial for those considering rebranding their own sites or businesses. On 99U.com you can find compelling interviews, thought provoking ideas, creative support, and professional oriented advice pieces. The topics include career, psychology, collaboration, creative process, and productivity. Furthermore these are broken down into subtopics such as hiring, time management, creative block, decision making, and risk taking to name a few. The online platform also hosts videos from previous events. The offline channels for 99U include the books that compile insights into various problems that creatives may face. 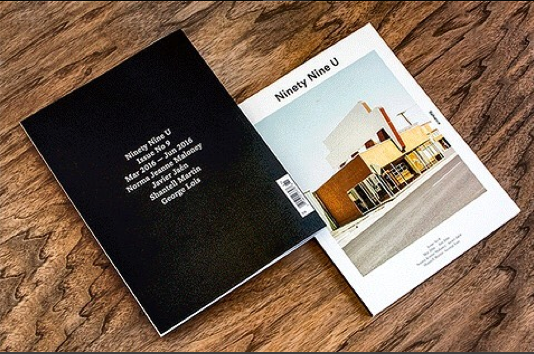 99U distributes a quarterly magazine with further wisdom and support, as well as photography of well-designed concepts and pieces. And most importantly, the 99U Conference brings together this community under the lights of New York City. 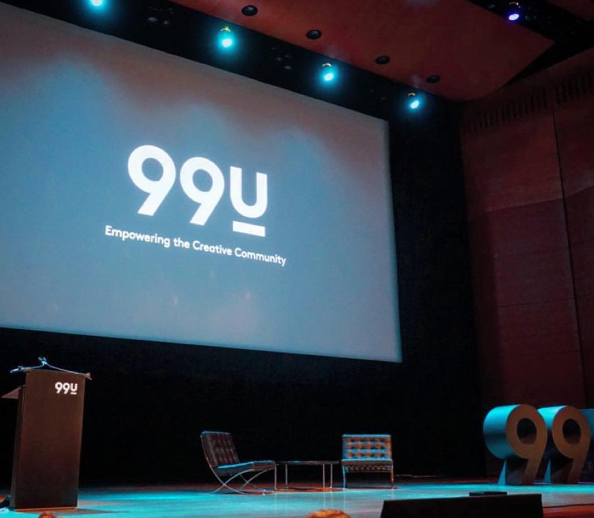 While speaking with William Allen, Senior Director of Adobe, we discussed the culture of 99U and what they're trying to bring to their audience. He explained that there is no one answer for how a person can create their professional path. He suggested that you have to have faith and surround yourself with people and an environment that helps you feel alive. 99U looks to create this ambience of excitement, deep thinking, collaboration, and creativity. Mr. Allen stated that everyone is a novice in something and the Adobe products, Behance, and 99U, look to help people at different stages. Sean Blanda, the Editor-in-Chief and Director of 99U, discussed the buzz and the environment of the 99U Conference. He stated that the entire weekend is a lifestyle catalyst. People arrive ready to learn and apply their new knowledge to their lives. 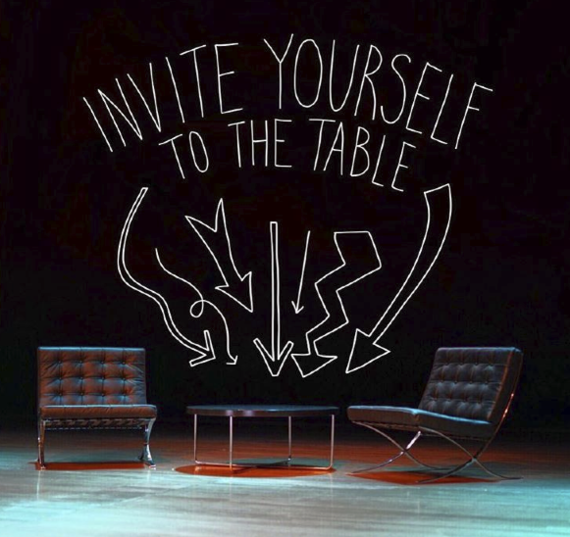 The 99U Conference helps many to build confidence to take their lingering thoughts and make them into reality. This year there were five venues across midtown Manhattan that allowed for people to get to know each other and share ideas. An interesting point that Blanda noted and I experienced later on, was that the volunteers who help run the show are a special part of the event. The volunteers who help run 99U were a truly engaged, young creative bunch with many talents. Many of them are pursuing a path in design. For two days, 99U brings together over a thousand creatives from different disciplines and mindsets who come to listen to a great lineup of speakers and to get excited about the next steps, whatever they may be. The conference also brings to together some who are not involved with design. 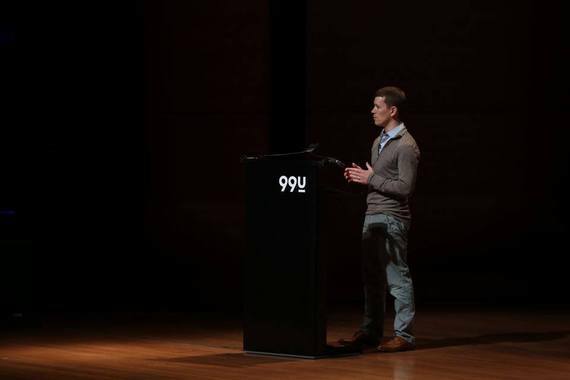 There is a great article from two medical residents who share their experience at 99U. The speaker range was vast including individuals with specific research-based backgrounds, leaders of companies, change-makers, thought leaders, and more. 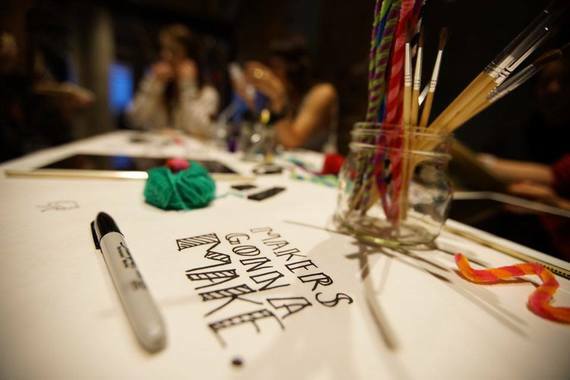 The opportunity to mingle and to connect was omnipresent as there were also breakout sessions that allowed for creatives to listen and share their opinions and thoughts in more focused topics. The attendees were able to select which breakout groups they preferred to attend. 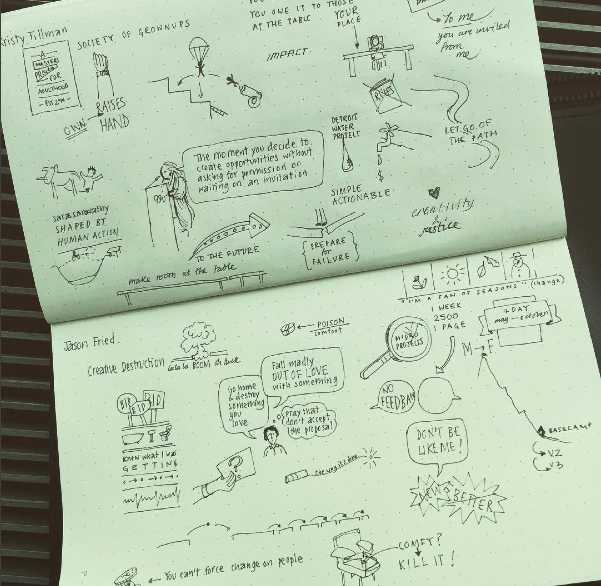 Here are some takeaways and notes from the first day of 99U! Seeing the big picture with Ryan Carson. 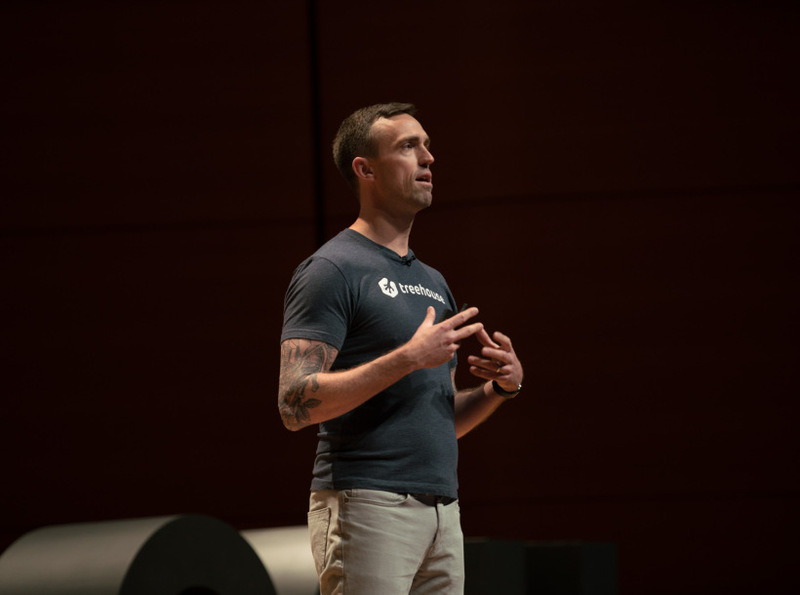 The first speaker was Ryan Carson of Team Treehouse, an online learning platform for coding with a sleek interface, community accessibility, and in-depth video learning. Team Treehouse has over 135,000 users on their membership plans. People are learning to code and are building professional skills with Team Treehouse. As a personal user of the service, I appreciate the capabilities of testing code and connecting with others in the coding community to solve challenges. Carson is very much a people person and asked everyone to consider life's big picture. He conducted the audience through an exercise of imagining what people would say of them in their last hour. It isn't as much ensuring that people say good things but that you do good while still alive. He takes this mentality and applies it to his business. Are 5 to 6 day work weeks necessary? Are there things outside of work? Carson tests this theory with a four-day work week. He doesn't try to live too far in the future and doesn't want to miss what is going on around him. He does weekly reviews to ensure that he's accomplishing his personal and professional priorities. This is a true testament that you can get things done without neglecting family, friends, and personal obligations through being 'busy'. Kristy Tillman is an accomplished designer. Kristy has started her own business, collaborated on numerous products, and worked at IDEO. She is currently the design director at Society of Grownups, a company looking to democratize financial literacy. Kristy's list of experience is impressive and so is her passion to help others. She started her speech by praising Sean Blanda and explaining her journey to becoming a speaker at 99U. 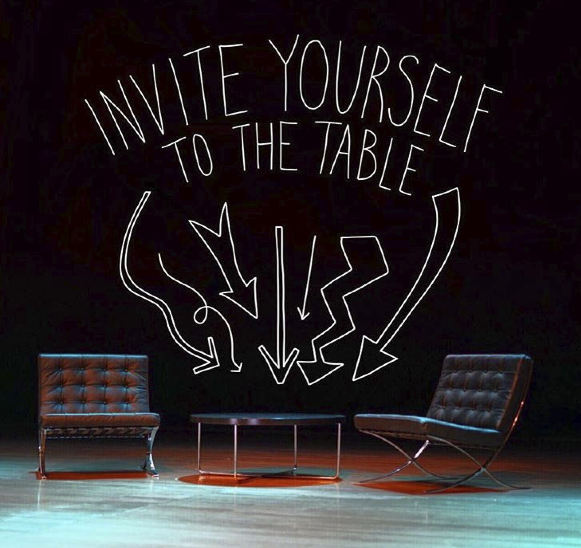 Her talk focused around the concept of inviting yourself to the table. She stated "you owe it to yourself and the people at the table to get yourself there." We often need a little nudging to act upon it. Ninety-nine percent is perspiration and you often times won't be asked to do things until you make your voice heard. Kristy spoke about imagining being unable to turn your water on. Something very simple that we often take for granted is not accessible to people in our own country who struggle to pay their bills. A fascinating and moving project that Kristy started is the Detroit Water Project. The project started when she and co-founder Tiffani Bell learned that people's bills were going unpaid and resulted in water being shut off. They felt the need to help. They reacted by helping one family pay off a single bill and a snowball effect occurred. To date, they've helped pay over $240,000 in water bills. Today, donations that are made will be matched by The Detroit Water Project. This powerful and impactful mission is a part of what makes Kristy very special. She closed her speech with - "don't ask but be affirmative, make your voice heard." After the presentation, I was able to speak to Kristy. Her kindness, honesty, and sense of humor were refreshing. You can read her speech in depth here and follow here on Twitter to see how she's helping change the world for the better. Jason Fried is the founder of Basecamp, a web-based project management application that has been in business over 17 years. In fact, it was the first ever application with the invented framework that would become Ruby on Rails. Basecamp is the ultimate project management and communication app for designers and consultants. The program allows for customers to understand and to be engaged with the project as it moves forward. The project team is also able to communicate internally with each other, manage tasks, and complete milestones. In one of my previous articles, I speak of Michael Janda's book "Burn Your Portfolio" where he shares that he uses Basecamp. Basecamp and founder Jason Fried move to the beat of their own drum. Unwilling to conform, when updates were needed, Basecamp refused to force their users to adopt a program that they were unaccustomed to. Instead, they gave the option to their customers to keep their existing services or use the new version without cutting them off completely. The concept is quite novel and makes sense. They refused to drop the ball on their users and their clients. Process is so ingrained that stepping out of this comfortable routine is met with resistance. Fried suggests crushing the mundane repetitive actions and moving forward to explore new methods. "Tweak things and try new iterations," he suggested. This will allow for improvements, growth, and progress to occur. Don't get complacent and definitely don't operate on autopilot. Originally, he started 37 Signal as a web design consulting firm. He spoke of the exhausting nature of long-term projects on designers and on clients. He spoke of how clients were often unaware of what they're buying and this is how resistance forms. From there on, they created a simple and well-defined scopes that were small projects. The outcome was a success. He encouraged, "Don't do things the way other people are doing them. Be Unique, be original, and never be complacent." Partner at Benchmark, co-founder of Behance, former director of 99U Conference, author, and entrepreneur, Scott Belsky was the final speaker of the first day. He focused his presentation around the concept of journey. His mission is organizing and empowering the creative world. Belsky's presentation was framed around journey and divided it into three sections; the beginning, middle, and end. Success stories fall short of revealing the truth. That the bulk of the action happens at the middle of a journey and that's the part that "adds texture." Belsky then provided practical advice on how to be bold, take risks, and sometimes do what is controversial. He brought up Uber and other examples to spur the crowd to take the road less taken. Belsky encouraged testing, auditing, reflection, pivoting, and feedback. The entire presentation was extensive in tips, suggestions, and applicable knowledge that when I looked around a most of the crowd was taking notes and grabbing pictures of the slides. What is very compelling is that the leaders and the team of 99U understand that each creative who attends and reads their articles has a different path. People comment on their articles with additional ideas and suggestions to help each other. I was only able to attend one day but I can say I genuinely enjoyed my time and connected with creatives from Australia, New York, and Ohio. 99U looks to further empower the creative community to execute their professional and personal goals. The 99U Conference offers the ability to take a break from work and connect with a slew of creative folks. At this conference, you can connect with peers and open new doors. At 99U you can become inspired, motivated, and ready to take the next big step in your life. You can meet with speakers who shed light on their own journeys, thoughts, and ideas. At 99U you can keep things in perspective and be part of a community. 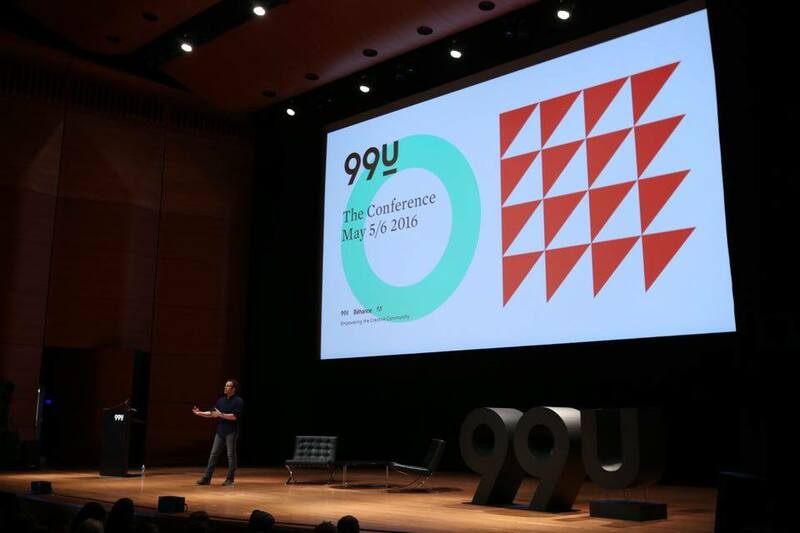 "The goal of the 99U Conference is to shift the focus from idea generation to idea execution. Providing road-tested insights on how to make your ideas happen. 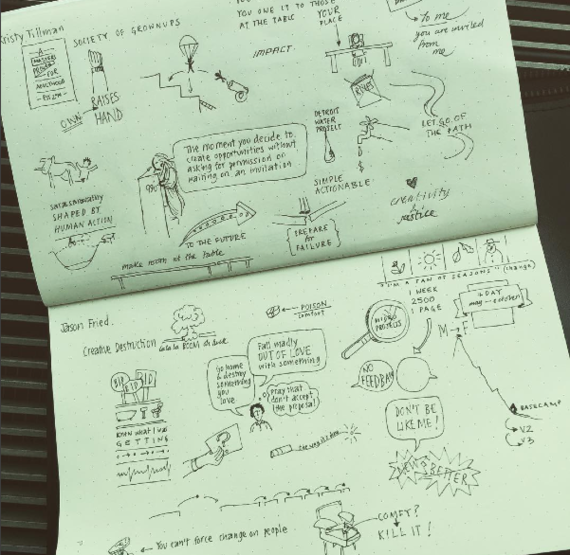 We bring together some of the world's most productive creative visionaries and leading researchers to share pragmatic insights on how ideas are brought to life."